Most of the lower class in Norway left because of the following reasons: 1. Cotters used land of the weathly because they didnt have their own land so whatever they grew some of the monies from the crops went to the wealthy. Servants in Norway worked for food and a place to sleep. 2. The poverty-stricken were under strict rules and regulations from the wealthy land owners so many of the cotters were upset and most ended up leaving Noway [cotters were like U.S. southern farm sharecroppers on land owned by the farmer; they paid the owner back for use of his land with a certain share of the crops, which usually was large enough and hard to maintain in good times and so impossible in bad times that it kept them impoverished. Was it any different for Norwegian sharecroppers, or cotters on tiny bits of land that were full of rocks and also not very fertile, with short growing seasons so far north and weather that was uncertain at best for growing crops at that far northern latitude?--Ed.]. 3.1n the early 1800s the upper class controlled everything and treated the lower class very poorly. Some common crops grown in Norway were: barley, oats, and wheat. Few people starved after potatoes arrived but a blight similar to the Irish potato blight affected the potatoes and, as a result , many people began to die of starvation. The first week of July in 1825 immigration began from Norway to the US. The first sailing sloop filled with immigrants left Stravanger, Norway for New York with 52 people on board. The trip was two months long and even a baby was born on this first trip. Those who came to the US encouraged their family and friends back in Norway to come. They sent money for their tickets and helped them when they arrived in America. The Homestead Act passed by Congress on May 20, 1862 [signed into law by President Abraham Lincoln--Ed.] allowed all settlers 160 acres to farm with only a small filing fee of eighteen dollars. 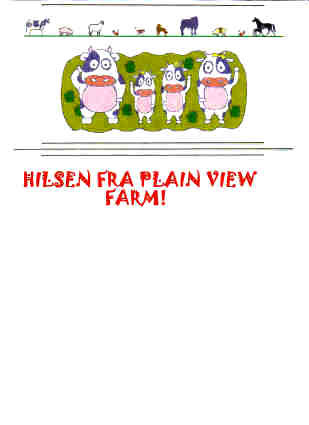 Peasants in Norway were very happy with the Homestead Act. They now had free land to farm when they arrived in America. They used what was called a cistern [which collected run-off rainwater from the house roof for drinking and household family use, since it was soft water free of heavy minerals, iron and salts, cistern water was particularly valued by the users--Ed.] where cream, milk, and butter were stored. Vegetables like potatoes, carrots, and turnips and fruits like apples and maybe pears were stored in the cool corners of the farm house basement. Life was difficult and harsh, but so much better in the United States for the immigrants than in Norway. The Hellig Olav Steamship had first to third class cabins- no steerage. Scandinavian food of vety good quality was served. The same standard of courtesy and cleanliness as the first and second classes was found in the third class. This was a brand-new ship. Its first voyage was March 25, 1903. The voyage for Bergit lasted about two weeks. The Hellig Olav was a two masted steamship with one funnel. It was a cargo and passenger ship. Alfred had nine children most of which were born on the farm. All seven girls and two boys worked on the farm. Alfred prided with having all nine children graduate from high school [an evangelical Christian academy in Canton, SD, or parochial school, by the name of Augustana Normal School, also called Augustana College, since it had two departments, established by Norwegian Lutheran immigrants such as himself--Ed.] and some moved on to college [or the Lutheran Bible Institute and Bob Jones University and New Tribes Mission schools--Ed.]. After he retired from the farm, he and Bergit did mission work in Mexico and helped the migrants in South Dakota [raising support for a Lutheran mission church pastor there. Moreover, Alfred and Bergit were described by Mrs. Hobart of the Hobart School for the Blind in Laredo, Texas, writing to the editor here, as "strenuous workers in the Latin American Lutheran Mission," which under Myrtle Nordin Huerta (the chief LALM missionary) a number of Mexican mission churches and even a Seminary and had a school for the blind affiliated with it. The Claire Hobarts ran the school for the blind in Laredo, Texas, just over the border, and bussed the blind students from Mexican homes to the school and back; the Hobarts were lifelong close friends of Bergit and Alfred and fellow LALM workers and supporters. This work was supported after them by their youngest daughter, Ruth Stadem Harrington and was given a bequest in her will.--Ed]. They hauled a tiny trailer behind them (pulled by their powerful Kaiser sedan car--Ed.] they called "The Snuggery". He had books, a typewriter, a bed and a wooden stove in it. "Some Reflective Remarks On the Essays By Stadem Grandson, Ronald Ginther"
The PVF Stadem Scholarship essay writers can be congratulated heartily for their essays that won awards and were read by the entrants at the 2016 Reunion in the Heritage Barn, "Barna Velkommen," on Plain View Farm. It was a grand inauguration and a notable, historic occasion. The entrants are named on the essays. They each did a most excellent job both in English proficiency and in research, and evidenced very good thinking, even perceptive thinking normally not seen in such as their age levels, about the subjects they chose based (in two essays) on the life of Bergit (Holbek/Holbeck) Stadem, and in one case on the life of her husband, Alfred Jorgen Peter Stadem. 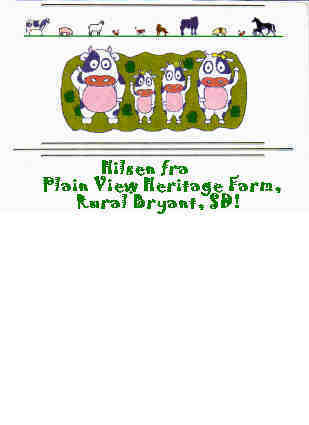 Bergit and Alfred pioneered "Plain View Farm." Alfred was even born in a sod house and shared it with a younger brother Sever Stadem and a younger sister Caroline Stadem. His parents were Marie and Peter (Peder) Stadem. As for the Holbecks, Birgit Holbeck (Holbek in Norway) emigrated from Norway in 1903 with her older sister Katrine, their brother Andrew preceding them to America to work and enter the Seminary to be a pastor. Birgit, then, was a first generation immigrant, whereas the American-born Alfred, not counting Sjur and Oline, was 2nd generation of the Stadem family that originally emigrated from Norway to America in 1866. These two young truly Christian people, American-born and Norwegian-born, but both Norsk speakers, met in Canton, S.D., and were married 1908. Unnamed at that time, Plain View Farm acreage was acquired by Alfred, and was increased later with a tract of prairie that he had to fashion into a working farm. He bought that additional land land from his uncle, Berent Martin Stadem, older brother to Peter Stadem, Alfred's father. These individuals were all remarkable in each his or her own right. Essay writers will find much rich material to work on in future essay writing once they decide to discover for themselves what made a pioneer and a saint of God with little or no advantages we consider essential today for success. It remains their task to re-discover their heritage before it is essentially buried and lost by our secularized 21st century society and liberalized, no longer Bible-based or evangelical or Protestant, mainstream churches. The family they produced was phenomenal as well, though there was a substantial falling awsy in faith and practice evidenced in the subsequent descendants. Already the beginning entrance essays have shown that the problems and causes of emigration/immigration for Norwwegians are grasped in surprising degree when it comes to the young ages of the writers involved. It shows that young people can grasp these realities that the Norwegians at the turn of the last century and even in the middle of the 19th century had to face and overcome to reach America and establish a new life and living while following a personal Lord. They also seemed to appreciate the central (not subsidiary or peripheral) role of faith in God, as a chief motivator and guide to our ancestors, and we hope to see more writing on this aspect, rather than focusing exclusively on the sociological and economic and historical, which anybody can research or read about in the many scholarly books composed and available on the subject of Norwegian immigration in America during the 1900s. STADEM EXCEPTIONALISM: FACT OR FICTION? It is of course establishing a necessary groundwork to review the economic and social problems of Norway as the impetus for Norwegian emigration to America and elsewhere, of course, for writing of our ancestors' experience as immigrants, but it is not the whole story by any means. We have an exceptional heritage and an exceptional development and even exceptional fulfillment as many are still needing to discover. This is not about cultural pride or family pride. There were many much more successful immigrant families, in the worldly standard, but few or even none so successful and influential as the Stadems in the spiritual in ministry and missionism. That success and influence has reached out to the wide world. Chiefly via the New Tribes Mission as missionaries, Stadem Descendants in the Taylor and Newton families are spread across the world, working in ministry and sharing the Gospel of Christ. Over 23 churches were born from a home Bible Study in the Svanoe household in Minneapolis's suburb of Edina, and those churches often carry on international ministry trips as well. Myrtle Stadem Svanoe and her husband William Svanoe have passed to glory, but their ministry and prayers have continued in the vibrant, Bible-based, missionary Pentecostal church born in their home and in the many churches that were born in turn from the "mother church." And the outreach goes on to this very day, generation to generation. We are not speaking of past history. So can expect even greater outreach, as the realization spreads throughout the Stadem Relationship that have a charge or commission from the Holy Spirit to take the Gospel to the world. Let the world supply itself with doctors, dentists, and teachers, and businessmen, it has plenty of those already. But Christ declared to his followers that the fields are "white unto harvest and few are the workers. Pray ye the Lord of the harvest to send forth workers!" Need anyone clarify or explain that to us? Unless called otherwise by God, it is not wrong for a Stadem to choose those or other professions and avocations in the worldly culture at large (though, as my mother Pearl Ginther proved all her life, a Christian homemaker is truly a ministry as great as any missionary's on the foreign or domestic field, and truly she was a missionary sent by God to the Pacific Northwest). But Christ said what he said, and we should take it seriously as young people before we head out into the world to make our way. A heavenly calling for service on earth, a divine commission from the lips of Christ Himself to labor in the fields of salvation, is not to be taken lightly or dismissed as out of date, or irrelevant, or even inconvenient. In this distraction-filled world it will always be "inconvenient." The Cross tells us that it was not Christ's will that he served by submitting to crucifixion, no, it was in obedience to His Father's will. May more and more, not less and less of us, submit joyfully to Christ's will and not shirk the cross, which we are commanded by Him to take up individually if we are to be his true disciple! Note: businessmen still today in this hostile to Christianity world have an entrance into most Moslem countries, but as Full Gospel Businessmen they share the Gospel while remaining businessmen. Nurses can do the same. Teachers the same. Right now in this supposedly civilized world you cannot enter over 50 Moslem nations as official Christian missionaries, you will not receive visas or if you try to enter anyway you may be arrested. beaten, tortured, imprisoned under false charges for many years in slave labor mines, factories, and prison camps, denied medical care when sick or injured, subjected to murder by the worst elements of the prison population deliberately placed in your cell, or even killed by prison authorities intentionally, but you can in most cases still enter those same countries, as a profession or trade person. This door is open still in this way, despite hostile opposition to evangelical Gospel ministries in much of the world and to be found increasingly in our own country. Having made these introductory remarks, which I pray have not been needless or redundant but somewhat helpful, I fully realize they may be above the level of understanding of most young people who are not trained in today's schools to value the lives of people holding the values they had in our heritage, but perhaps these reflections can reach the parents and the older youth in college and they may appreciate the views expressed about Stadem Exceptionalism and Christ's Commission. Stadem Exceptionalism was first expressed as such by Myrtle Stadem Svanoe in a letter to the "Folks" at home at Plain View Farm (see her letter on these pages), it is not my own idea. As a young person she discovered this fact when she was going about many churches and homes in "extensions" of Augustana Academy (her Christian high school, a live-in high school of the Evangelical Lutheran Church located in Canton, SD). Sharing in this ministry and outreach, she had ample opportunities to observe what went on in host churches and in the homes of host families. What she saw convinced her beyond any serious doubt that her own family on Plain View Farm far surpassed them all, humble and relatively poor though it was. Here is where the problem and controversy began, for them and for us all. Her own children, like most of those in the other Stadem families of her sisters and surviving brother, would never discover that fact themselves, having never experienced the lack of necessities and the hard times and the struggle that were a daily part of life on the old Farm she grew up on. They took the many advantages of life of an urban environment and the good conditions of a modern, well-kept home with a successful landscaping father providing for every need if not every luxury, for granted. They learned each to work hard in the family business, but they had no hardship to temper the conclusions they made on what life was about and how they wished to live it advantageously. Their generation entered into the social and sexual revolution of the 1960s with mostly no reservations, and this revolution was theological as well, engulfing the Lutheran schools and colleges and seminaries that they attended. 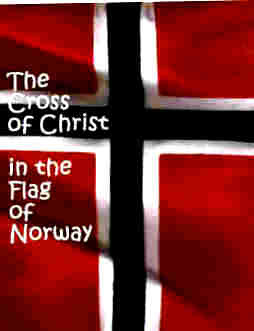 But this Norwegian-descent family, diverging from the examples and teachings of the parents and their churches, was quite typical, and understandable in that they had nothing for comparison by which to judge their faulty conclusions. Though some even ministered in churches as lay persons or ordained clergy and some traveled in Lutheran college choirs and quartets on grand, well-received tours in Norway, they did not gain any provocative knowledge or insights from such experiences to counter their own limited understanding and render questionable their final negative conclusions. Once launched on those trajectories in life and based on faulty premises, their lives continued to diverge from their parents' faith and the faith of their Forefathers. But, again, they were hardly atypical of the times and the younger generation that came of age in the turbulent 1960s that rejected the mores, traditions, and beliefs of the older generation. Again, it behooves the present younger generation, their grandchildren and great-grandchildren to restore and re-discover the truths of their exceptional heritage. Will they? Will they cross over from the sinking ship of denial to the Ship of Restoration? These essays offer some real hope they will, as it is an opportunity few families have today to go back to the roots of our heritage and maybe in this search they will see and grasp what has been lost to them, and then attempt to restore what their Forefathers lived for and desired for them to possess. We older ones can only hope and pray for such an outcome, and in the meantime make some belated effort to support them in this noble endeavor, however we can, rather than try to defend ourselves and deny our dereliction of duty regarding "passing the torch." Christ's Commission is given to every disciple of Christ who takes his Lord and Savior seriously. Put those two things together, as they must be put together in the Stadem story, and you have the explosion of ministry and ministry we see evidenced in the Stadem experience in America and other countries. For a clear picture of this, we can go to scripture, to the Bible's testimony, where we observe Jesus calling his wayward, religiously bankrupt and perverse generation back to God, only to encounter denial and outright hostility, with death on the cross awarded him for his efforts. Yet some took his message and challenge humbly. A thief being crucified with Christ, bad-mouthed him (like many users do on Facebook today), but while his comrade thief continued in that way, he paused, having second thoughts when he saw how Jesus failed to react like other men would to accusations and filthy jibes. Jesus responded with love for them, praying instead to His Father in heaven to forgive them, "because they do it from ignorance," he said. The thief saw this and repented. He ceased denying his guilt, owned up to it fully, rebuked his fellow thief for attacking an innocent man, and called on Jesus, saying, "Remember me, Lord, when you come into Your kingdom." Even as the self-righteous but corrupt, immoral Pharisees standing near the foot of Christ's cross continued to look up with glaring eyes and accuse and badmouth Jesus, continuing in denial and defiance of God, the thief was assured by Jesus "Today you shall be with Me in Paradise." I know myself I do not l want to miss Paradise and being with Jesus when I die. I therefore repent of my sins and ask God's forgiveness. Reader, how about you too? You too can do this and be assured of Paradise and living forever with Jesus your Lord and Savior forever in glory and happiness. Do it right now, don't wait until you have bettered yourself (the thief could not, and it wasn't necessary to repentance), if you have not already done so make peace with God through Jesus Christ.